With a target launch date of March 5, NASA’s Kepler mission is just weeks away from its tantalizing journey to peer at faraway stars and the Earth-like planets they may be hosting. Hundreds of astronomers from all over the world have a stake in the data. The United States participants hail from all the usual astronomy hubs, among them Arizona, California, Texas and … Iowa? Steve Kawaler, an astrophysicist at Iowa State University, took a moment to chat with Universe Today about his role in a less-publicized goal of the Kepler mission — and his research out of a less-publicized astronomy program. Kawaler: Iowa’s a great place. I’m originally a New Yorker, and went to grad school at the University of Texas, but landing at Iowa State (mostly by chance) still feels right. (Still Kawaler:) You can get a lot of work done here. We’ve organized and run the Whole Earth Telescope from here for about 10 years. A few years ago [in 2004], the WET team showed a pulsating white dwarf (BPM 37093, but later dubbed the ‘Diamond Star’) may truly be crystalline. Finding one of the biggest diamonds in the cosmos and announcing it around Valentine’s Day was pretty fun! I’ve been part of some big collaborations where nearly all the work is done remotely, and that is important as we stare at the mountain of data we’re about to see. Q. What’s your role in the Kepler mission? Kawaler: I serve on the Steering Committee for the Kepler Asteroseismology Research Consortium. We’ll use the exquisite time-series measurements of the brightness of over 100,000 stars to measure their internal properties. The KASC has over 250 scientists involved, and the Steering Committee is charged with helping organize and coordinate their efforts in reducing and interpreting the data. Q. What’s most exciting about the science in this mission? 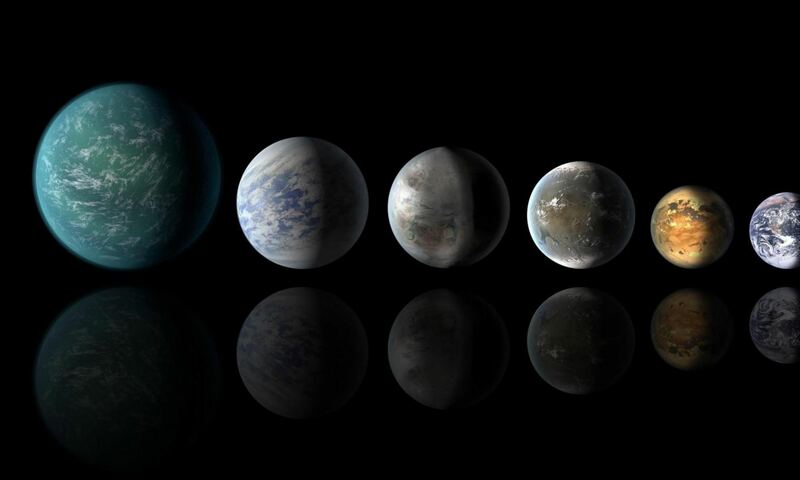 Kawaler: The most exciting discovery will be the discovery of Earth-like planets around other stars. It’s what we all wonder about – are there other planets out there that host life? That said, most of the stars that Kepler examines won’t show any signs of planetary transits … but the data will provide a gold mine of information about how stars behave. From the point of view of my own research, the most exciting thing that will come out will be improvement, by a factor of almost 100, in the measure of brightness of over 100,000 stars. Asteroseismologists are drooling at this prospect, because we expect to find oscillations in many stars, but this huge increase in sensitivity is bound to reveal new phenomena that we can’t even guess at yet. Q. A press release described part of your interest as “peering into stars.” Can you elaborate? Kawaler: Until very recently, everything we know about stars, we learned from looking at the outsides. When you want to really need to know what’s going on, you need some sort of probe that goes beneath the surface. For the Earth, seismic waves generated by earthquakes give you that kind of probe. For stars, we have to measure their vibrations from (very!) far away. Those vibrations produce only tiny signals — very subtle brightness variations. We can also look at how the surfaces move up and down and use those as a measure of the oscillations that are going on inside. Once we do make those measurements, we use the tools that terrestrial seismologists have developed, along with some of our own that are adapted to the special circumstances within stars, to probe the insides of the stars. Q. Why can’t we do this work from Earth? Kawaler: The short answer is that we can, sort of, but Earth is a really poor place to do this kind of work. An astronomer can only look at a star for a couple hours a night before the star sets or the sun comes up. It’s kind of the equivalent of listening to Beethoven’s 5th Symphony and listening to every third note. You can sort of do it from the ground by putting together a network of telescopes. We’ve had some remarkable successes. But it’s much easier if you can observe from a platform that isn’t rotating. And if that platform is above the atmosphere, you get the added benefit of a direct line of sight to the star that doesn’t have the atmosphere degrading the image. With continuous views and no atmosphere, Kepler can do way, way better than we can from the ground. 6. Is this helping to realize a life-long ambition for you? Kawaler: Absolutely – I’ve always been a space program ‘geek.’ I grew up in the 60s. My older brother grew up in the 50s, and he got caught up in the whole Sputnik thing. There were all these books and toys about space; I picked them up and was instantly fascinated. Later, I was just riveted to the TV all the time, watching Gemini and the Apollo missions. I guess I still haven’t grown out of it. My brother is one of the few rabbis that dresses as Captain Kirk on Purim, Jewish Halloween, so I guess he didn’t grow out of it, either. I’m actually heading down to Florida for the launch, with my father, so he can finally be convinced I didn’t have to be a ‘real doctor’ — I can be a PhD. Kepler's search space in the Milky Way, courtesy of NASA. Iowa isn’t that bad, why are you treating it like it is a nothing state filled with no bodys? Why Iowa? Why not Iowa? Contrary to popular belief, Iowa has a lot more then just corn. We don’t all drive tractors here. We have real cities, with real sky scrapers, and we have real technology here. Finally, yes we even have some real smart people here. Such as Dr. Steve Kawaler, and Dr. James Van Allen. Thank you Planetwatcher, you are right! It is the same deal here in Nebraska! We don’t talk about corn all day in fact I hate corn! The Kepler search mission is awesome.!! and each has its very unique features. I’d have to agree with the other comments – I live in the same town as Mr. Kawaler… and write for Universe Today! In our modern age, technology allows us to keep up with and contribute to the dialog of humanity from pretty much anywhere. Even if it is from one of the states in the U.S. that may have a smaller urban population, but a large rural population that contributes a great deal of the food that the rest of America gets to enjoy. Maybe the title should read: Q&A with Kepler Scientist from – Iowa!! !, or perhaps just Q&A with Kepler Scientist. After all, given the light pollution (and air pollution, among others) that accompanies urbanization, rural areas are great for astronomy in the visible light spectrum. If you’ve ever been to the middle of Wyoming when it’s dark and there’s no Moon, you’ll know just how many more stars are visible than from somewhere like New York City. Kepler is certainly going to produce some interesting results, and I’m excited to see all of them from my home in the Great Plains. Great article, Anne, and good to have you join the team here at UT! Next PostNext How and Why Did Two Satellites Collide This Week?